In a previous post we discussed common issues one runs into while attempting to collect a debt in South America. Common issues include financial issues and insolvency, disputes and misunderstanding, incompatible paperwork, currency exchange controls, lack of leverage, communication, unprofessional behavior, and unfamiliarity. In this post we will discuss some of the solutions to these issues. One of the solutions for the issues mentioned for debt recovery in South America is proper timing for account receivables management and debt collection. Often, businesses decide to take action when it is too late: months pass by before follow up letters or emails are sent, or telephone calls are done to the client, and before the account is considered in default. It can even take years before a debt collection agency is engaged. In those years, debtor may have started to feel it can get away with not paying, or debtor may even be bankrupt or not exist anymore, which means in practice a certain write off of the outstanding debt. The golden rule of thumb in debt collection is that the longer you wait, the less likely it becomes you will collect your debt. For debt recovery in South America, the rules are no different. By sticking to proper timing in the entire accounts receivable management and collections process, you will increase the likelihood of recovering international debts in South America. We discussed the engagement of local representatives before; even in the age of technology and where distances seemingly do not play a major role anymore, in order to successfully collect a debt in South America, it remains vital to engage a debt collection agency that has local presence, either through its own branches, or affiliates, partners or professional networks. Reasons are the leverage you may have towards debtor to take legal steps locally if necessary, but also the knowledge of your local debt collector of local business culture, habits and procedures. And in South America, where businesses are often aware of the apparent inaccessibility of local legal systems for foreign creditors, it is important that your debtor realizes that you work with local debt collection experts. To make sure that your paperwork (contract, order forms, order confirmations, invoicing) is in line with local standards in South America, not only means that you build up a legally proper file in the case of legal proceedings locally in South America. Most of all, it shows towards your client and possibly future debtor that you understanding the local habits and procedures. You will comply with what your client’s administration and due diligence requires, and it will give you the leverage of being taken seriously by your counterpart in South America. I realize this depends on the size of your business and your market volume in South America. However, as a matter of principle, if your business is located in North America, Europe or Asia, physically and culturally perhaps far away from your clients in South America, you should always consider having a local commercial representative. And in order to create a successful South American market for your business, your commercial representatives should be involved beyond looking for leads, prospects and clients. They should also assist in setting up proper collections procedures and paperwork in line with local requirements. Commercial representation and credit management for your business in South America should go hand in hand. 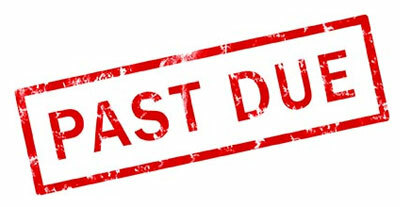 Solutions for debt recovery issues in South America may include: proper timing for accounts receivable management and collections, engagement of a local debt collector in the debt recovery process, synchronization of paperwork in line with local standards, and commercial involvement in debt recovery in South America. If you are interested in learning more or discussing issues that rise when attempting to collect an international debt in South America, or in general you would like to know more about debt collection in Latin America & the Caribbean, please connect with Cobroamericas on Linked-In or follow us on Twitter. Professional debt collection services can contribute to the economies of Latin America. It is true, the overall quality of debt collection services will need to improve, and fair practices need to be determined and honored, and there may still be quite a long way to go. But there is definitely an opportunity for growth and professionalization of debt collection services and with that, the possibilities to contribute to improvements to Latin American economies. Below eight reasons how debt collection contributes to improvement of the economies in Latin America. A professional debt collection industry improves payment behavior among individuals and business. And so would a professional debt collection industry do in Latin America. Exceptions notwithstanding, payment behavior is in general poor in Latin America, both considering domestic and foreign debt. This is partly due to the absence of professional collection procedures within companies, the absence of debt collection regulations and laws and the hassle that legal proceedings mean in the majority of the countries of Latin America (click here for more info on legal proceedings in Latin America): all elements required by properly functioning professional debt collection services. A professional debt collection industry would mean more collections on overdue invoices for companies in Latin America and hence it would imply a reduction in bad debt, consumer debt and company debt alike. This would improve cash flow for businesses substantially and contribute to production, investment and repayment of debt for Latin American businesses. A professional debt collection industry would contribute to professionalizing collection procedures within Latin American businesses. This results would not only be increasing collections on due and overdue invoices, reducing the average days sales outstanding (DSO) it would also boost general professionalization of business operations and procedures and create a healthy balance between deal making / sales / relationship management and credit management / account receivables management. Debt collection means generating income for Latin American businesses. Debt Collection increases collections on overdue invoice and generates direct additional cash flow, hence an increase in income. 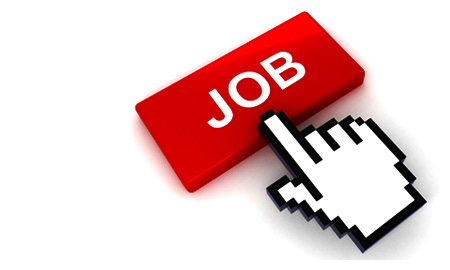 A professional debt collection industry creates jobs in Latin America. A growing debt collection industry means more companies dedicating to debt collection and more people that will need to be hired to fulfill the job. Debt Collection often shows the upsides and the downsides of collecting on overdue invoices. Generally, once the debt collection industry professionalizes, it will contribute to formalizing collection rules. On the other hand, collections rules will help regulating the debt collection business in Latin America. In short, to create fair debt collection practices. Debt Collection, whether that is amicable debt collection or legal deb collection, will push for determining what consumer rights and obligations are. Bad behavior by unprofessional debt collection agencies will eventually set the terms for consumer rights. Protection of creditors rights, in an economy with professional debt collection services often represented by debt collection agencies, will set the consumer obligations. The presence of a professional and reliable debt collection industry, debt collection regulations, creditors rights and obligations, consumer rights and obligations, functioning legal systems to enforce payment of bad debt: it will all improve the credibility and prestige of Latin American economies and businesses, and hence positively affect Latin America’s international trade, credit ratings and business opportunities for credit insurances and credit lines. How does debt collection contribute to Latin American economies? Debt collection can contribute to economic growth in Latin America as it potentially improves payment behavior, reduces bad debt, it professionalizes collection procedures for businesses, it generates income for businesses, a mature debt collection industry creates business and jobs, it helps formalizing national collection rules, a responsible and mature debt collection industry helps improving consumer rights and obligations, it improves credibility and prestige of national industry and therewith contributes to transnational trade. If you are interested in learning more on the subject of debt collection in Latin America please connect with Cobroamericas on Linked-In or follow us on Twitter. 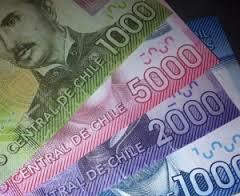 Chile: The Most Debt Collection Friendly Country Of Latin America? Chile is in several aspects an exception in Latin America. Chile has been politically and economically stable for decades. It is perhaps also the only Latin American country which has truly successfully countered extreme poverty. Its capital, Santiago de Chile, is a start-up hub and is considered one of the most investor friendly cities in Latin America. From experience it also seems to be the most debt collection friendly country in Latin America. What are the reasons behind this? The first reason is that the country has a truly open economy for foreign trade and investment. Economics politics are focused on attracting foreign businesses and investors and Chilean businesses are used to international commercial relationships. Reputation and prestige in that respect contribute to creating a climate of positive payment behavior. A next reason is that Chile has liberal monetary politics. The country doesn’t have foreign exchange controls like for example Argentina and Brazil, or for that matter, the most notorious country in South America, Venezuela. International payments are not subject to extraordinary foreign currency exchange restrictions which favorite debt collection success for foreign creditors considerably. The next reason might be somewhat subjective, but Chilean businesses do seem to have a culture of a more positive payment behavior compared to neighboring countries like Brazil or other large Latin American economies like Mexico. This generally makes it easier to negotiate payment of debt or overdue invoices. Chile’s middle class has grown substantially in the last few decades. And its poverty level has diminished. Because of that, the average salaries and thus purchase power of the population have improved and hence financial sources to pay foreign consumer debt or business debt have been increasing. This is obviously positive for foreign creditors who are looking to collect in Chile. Unlike the majority of other countries in Latin America, Chile is relatively well accessible. It has a decent infrastructure and it doesn’t have politically troubled areas and hence distinguishes itself from amongst others Mexico, Brazil, Argentina, Colombia and several countries in Central America. The next reason might be subject to personal opinion and may heavily depend on one’s point of view, but Chile’s judicial system is relatively understandable for foreign businesses and is certainly more accessible for foreign creditors than the judicial systems of the majority of the other countries in Latin America, like Brazil, Argentina, Colombia, Mexico, Venezuela, to just mention the most notorious. This gives foreign creditor the necessary leverage to indeed go legal if extrajudicial debt collection is not successful, and Chilean businesses or individuals realizing that might push them to pay amicably or settle. Chile is in several ways an exception which also seems to be the case with respect to debt collection on behalf of foreign creditors. 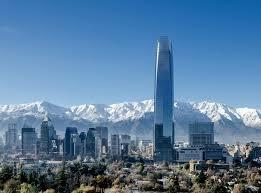 Reasons include the fact that Chile is an open economy, it does not have extraordinary foreign currency controls, Chile has a culture of more positive payment behavior than other countries in Latin America, the purchase power of the population has increased, the country is relatively well accessible, and Chile’s judicial system is quite understandable for foreign creditors. If you are interested in learning more on the subject of debt collection in Chile or Latin America please connect on Linked-In or follow me on Twitter.